After graduating with a business and economics degree from California Western University in California, Lee Carroll started a technical audio business in San Diego that flourished for 30 years. As an award winning audio engineer, where does channelling and Indigo children fit into all this? As Lee tells it, Spirit had to hit him “between the eyes” to prove his spiritual experience was real. The year 1989 was the turning point when finally came together, after some years earlier a psychic told him about his spiritual path and then three years later the second unrelated psychic told him the same thing! Both spoke of Kryon… a name that almost nobody had ever heard. Timidly, the first writings were presented to the metaphysical community in Del Mar, California, and the rest is history – with a total of sixteen metaphysical books being released in a twelve-year span. There are now almost one million Kryon and Indigo books in print in over twenty eight languages worldwide. Lee continues to visit other countries regularly – see it here. Lee and his spiritual partner, Jan Tober, started the “Kryon light groups” in Del Mar in 1991 and quickly moved from a living-room setting, to a Del Mar church. The Kryon organization now hosts meetings all over the globe with audiences of up to 3,000 people. In the beginnings of the Internet, Kryon had the largest consistent New Age folder in the history of America Online. Now, you are looking at the Kryon web site with a multitude of interesting pages and a registry of over 20,000 visits a day to the audio page alone. This audio page is a FREE PAGE where you can listen or download hundreds of free MP3 audio of past and current channellings. In 1995, Lee was asked to present Kryon at the United Nations (U.N.) in New York City before a U.N.- chartered group known as the Society for Enlightenment and Transformation (S.E.A.T.). The meeting was so well accepted that they were invited back six more times, in 1996, 1998 then in 2005, 2006, 2007, and 2009. These meetings are held upstairs in the working areas of the UN building, not far from the General Assembly. Only delegates to the UN and guests of the society may attend. Lee is the author of fourteen Kryon books, and co-author of The Indigo Children, An Indigo Celebration, The Indigo Children Ten Years Later. (17 books total). These Indigo books introduced the world to the term “Indigo Children” in 2000, spawning many follow-up books by various authors, a movie, a documentary, and lots of interest worldwide regarding our changing kids! The Indigo books have sold almost half a million copies world-wide in the twenty four languages listed above. Check out the four (4) KRYON companion books by author Monika Muranyi, HERE. These subject-driven books feature KRYON channelling with explanations, and Q&A with KRYON! The prestigious WATKINS “Mind, Body, Spirit” magazine from the UK, has listed Lee Carroll as one of the “100 most spiritually influential living people” in 2015, 2016, 2017, and 2018. You can see the others in that group HERE. Lee continues to write and travel from his home in San Diego, California. 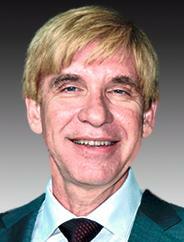 Dr. Todd Ovokaitys, often called Dr. Todd by his associates, has had a passion for science from the time he was five. He was first in his class in high school, receiving the Bausch and Lomb Science Award and the Bucky Pioneer Award. At Northwestern University in Evanston, Illinois, he was first in his class of 1800 with a 4.0 grade point average. After two years at Northwestern, he was accepted into an accelerated combined graduate/undergraduate program at Johns Hopkins University Medical School, which conferred both B.A. and M.D. degrees. Advanced training was at Georgetown University Hospital, with a Residency and Chief Residency in Internal Medicine followed by a Fellowship in Pulmonary and Intensive Care Medicine. During his Pulmonary Fellowship, the specialty that concerns the lungs, Dr. Todd began his research with cells of the immune system. Many procedures were done on AIDS patients to diagnose their lung problems. Observing this dire disease firsthand and the toxic results of early medical treatments, Dr. Todd developed a passion for finding better solutions. Towards the end of his Fellowship, he became aware of the benefits of Holistic Medicine for improving the function of the immune system while building rather than impairing the function of other systems. Inspired to learn more, he moved to Southern California to study with practitioners of Complementary Medicine. In the context of these studies, he had an experience so radical that the course of his life and work were forever transformed. During a meditation class in the summer of 1989, Dr. Todd paired with another student for an exercise. The process was profound and they took turns, one in the process while the other scribed to record any breakthroughs of awareness. Much as in the Jodie Foster movie “Contact”, the usual anchor points dissolved with the feeling of instant transport to a different dimension of being. There was a doorway or portal to traverse, with a message of the responsibility taken on through the choice to go further. Instantly upon walking through this doorway, a living form was seen that filled a room – and had the shape of a DNA strand enlarged millions of times. This form communicated that science only partly understood how DNA worked. The linear understanding of DNA as an enormous data string was correct but incomplete. In addition, DNA was a structure of coils within coils in an environment of moving charges that permitted DNA to send electromagnetic signals much as a radio transmitter. Further, DNA could receive and be conditioned by electromagnetic signals. Most significantly, if it were possible to determine and transmit the correct resonant signals, that it was possible to switch the activity of a sick cell to that of a healthy cell, an old cell to that of a young cell. This experience brought with it a certainty that solutions were possible. After intensive review of the previous work showing the effects of electromagnetic energy patterns on cellular health and function, Dr. Todd located a colleague with the technical expertise to build the desired invention. “In March 2004, Dr. Todd Ovokaitys addressed the South African Natural Medicine Conference in Stellenbosch and received ovations for his work from doctors and professors of medicine who heralded his work as groundbreaking and worthy of a Nobel Prize. [He] brought the whole audience, and perhaps even the event, to a single moment of wonder with an image of the AIDS virus being destroyed by a single blue light resonating at a frequency that shattered its membrane. 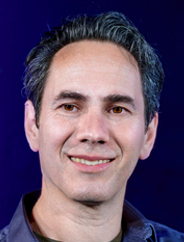 Today, Dr. Todd heads up Gematria – a research and development firm in Carlsbad, California, implementing his intuition, and his inventions. Kahuna Ali’i Wahine Kaleiiliahi is a kanaka maoli (aboriginal) of Hawai’i . She was born and raised in the lush Kalihi Valley on the island of O’ahu. Her ancestral roots trace all the way back to the stars, to the Makali’i (the Pleiades), to Papa (Earth Mother) and Wakea (Sky Father) and down a long line of Kahuna Ali’i Wahine and Kahuna Ali’i Kane (Royal High Chief Priests and Royal High Chiefess Priestesses). Kahuna Kaleiiliahi’s family God is Lono, God of Peace (also of Fertility, Abundance and Agriculture). Lono is uncle to Goddess Pele of whom she is a descendent. She is the reason for their existence and honors her ‘Aumakua (Ancestral Spirits) by using the multiple gifts they blessed her with, in service ‘Io Kapu Nui (Most Sacred Creator) and to Humanity. Kahuna Kaleiiliahi is a Spiritual Intuitive/Healer, a Wisdom Keeper, Visionary Artist, Keeper of the Lemurian Truths, a seer, medium, metaphysician, and channel for some of the most beautiful Holy Beings,…to name some of the blessings she carries from her grand lineage. She has worked with people worldwide in these areas, helping these precious Humans to awaken to their divinity, to shine their light and heal their lives…to become empowered and enlightened. Her specialty as a Spiritual Intuitive/Healer is clearing the blocks. While the artist has some formal training, her gift is innate and she is mostly self-taught, channeling most of her work. Her lifelong communion with the nature spirits, the elementals, the divas of the plant and mineral kingdoms has allowed her to “see” them and put them into her creations. While graphite pencil is still her favorite medium, she works in prismacolors and watercolors/inks as well. 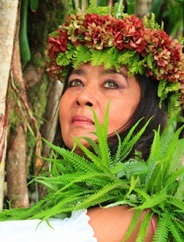 Kaleiiliahi is deeply connected to her people and her culture as well and has chosen to depict them in many of her recent pieces, thereby honoring them. She will continue to portray them in many different forms as they inspire her. After living in America for years it was finally time to “come home” to Hawai’i nei…where she has returned to do her work. Kahuna Kaleiiliahi’s ancestors come from the Kona and Puna districts of the Big Island of Hawaii where she now resides. She is available for Spiritual Readings, to visit Sacred Sites and to share the ways of her people…bringing to you her deep aloha and sacred mana (Spiritual Power). Prior to 1993 and before she became spiritual advisor, Marilyn Harper says she was a normal person, deacon in the Christian church, sold advertising for a Country western radio station and went dancing on weekends. One of 5 children to normal church going parents who ran a lumber company in a small Kansas town. However, she still knew that there was much more to her than previously believed. She had a weekly energy session to help release old programing and invoke the new skills, whatever that might be. She attended her first Walk-Ins International conference and met bj King who became her mentor. It was bj who first identified Marilyn as an activator, translator and oversoul-to-oversoul communicator. Marilyn didn’t believe it at first, but after becoming a Reiki Master she realized that she was able to “see or sense” into the human body and bring messages in from other realms. She then “volunteered” raising her hand, stating: I will go anywhere, say anything, do anything, as long as You can prove to me that you are God or Source moving through me.” That was all it took for Source of all that is, God, to connect Marilyn with Adironnda and the (now) Council of Light. Marilyn has her Bachelors of Science in Education and prior to the Walk-in had completed the classwork her Masters of Arts degree. (After the walk-in she was never able to write in English enough to finish her thesis.) She has written 6 successfully produced plays, three that raise money for Victims of Violent crimes. She is a Reiki Master, Karuna Master, Quantum Touch practitioner, certified intuitive consultant, certified remote viewer, certified Train the Trainer Peak Potentials trainer, has been listed twice in Who’s Who in America, and has developed her own method of healing she calls Holographic Healing. M.A., D.F.Astrol.S. – Master’s degree in Philosophy (University of Geneva, Switzerland with a thesis on the meaning of archetypes in the works of Carl Gustav Jung), and Diploma from the Faculty of Astrological Studies in London with complementary studies in Medieval Astrology (horary astrology). French and Finnish born, Michelle became an astrologer at the age of 14. She is the author of 8 books on astrology, living food nutrition, yoga and spiritual novels written in French, English and Finnish. 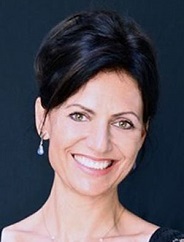 A regular contributor to the Sedona Journal, she has been the guest of many prestigious radio and television shows around the world, and was said by Kryon in 2009 in a public channeling in Laguna Hills, CA to be “a Master Astrologer who reads the Akash directly and to be the first one to bring quantum astrology to this planet”. In 2007, she was selected to be the exclusive astrologer to the Stars at the 78th Academy Awards in Hollywood. 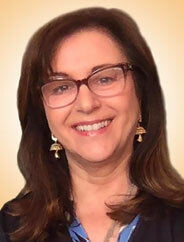 Her readings are sought by a vast clientele in over 57 countries on 5 continents. Her best selling last book Astrology For Enlightenment was published by Simon & Schuster in New York is a revolutionary book that redefines each sign by returning to the observation of nature and showing how each sign can use all the other signs to enhance different aspects of life. She also contributed to reactivating the ancient prophecy of John of Jerusalem which throws both a dramatic and exciting light on our times. Fascinated by spiritual archeology and the mysteries of evolution, she strongly believes that knowledge is power and that we are each co-creators of humanity’s greatest adventure yet into enlightenment. Honored by the Hopi medicine men of Arizona, she is also a shaman, initiated in Finland and in the mountains of Peru by the Q’ero Master Shamans, direct descendants of the Inkas. She leads workshops and ceremonies around the world training people into the forgotten art of journeying, shapeshifting, communicating with our power animal and drumming to further our awareness of our oneness with all of life. Every year, she leads a mystical, transformative journey to Peru and among other extraordinary shifts of consciousness, has brought her groups to naturally experience dematerialization at the Aramu Muru Door on the Alti Plano, by Lake Titicaca. In two hair cutting ceremonies, she had the honor of being asked to become the godmother of two Q’ero children. She has also lived many months in Colombia where she was welcome in the closed to the public sacred mountain range of the Sierra Nevada of Santa Marta by the Atlantic Ocean. She further learned some of the traditional ways of the Arhuaco Mamos (Master Shamans), descendants of the ancient Tayronas, the elder brothers of humanity. A professional model and actress trained at the Beverly Hills Playhouse in Beverly Hills and the Gene Bua Acting for Life studio in Burbank, she has been cast in several Hollywood movies and music videos (e.g. “the woman in red from the past” in The Backstreet Boys’ Show Me the Meaning of Being Lonely). She is also the French voice of the Alpine navigation system in Hondas in Canada, a painter specializing in the natural colors of nature, has a red belt in Tae Kwon Do and volunteers for FreeArts for abused children in Hollywood. When not traveling the world with her Master Cat Rafayel, she lives in Los Angeles, CA and Helsinki, Finland. Anders Holte was born and raised in Copenhagen, Denmark and is known today as a singer, composer and sound channel. But that’s not how it all started out. In 1982, when he was studying to become an actor, his teachers weren’t too impressed with his acting, but when he started to sing…that’s when they listened. He finally got the message and so his journey into music began. Shortly after quitting acting he got signed to a major record label with the well-known Danish rock-pop band Paris Paris. However this too was soon to change. According to Anders he felt a yearning to really educate himself musically and just to be sure he chose the “classical way”. He gained admission to the Royal Danish Academy Of Music and graduated as a classical singer, voice teacher and choir conductor. He sang with The Royal Danish Opera Choir, was a steady member of The Danish Radio Choir and toured the world with the distinguished a cappella ensemble Musica Ficta. However, Anders was increasingly unhappy only performing music hundreds of years old and exclusively singing what was on the note sheets. He felt something new had to happen. And so he quit his jobs and moved away from Denmark, leaving behind a successful career as a classical singer, ensemble leader and voice coach. Instead of singing the music of others he now began to follow his own intuition, entering the world of sound awareness. The next time Spirit ‘knocked on the door’ was after a Kryon event (of course!) in 2006 when he and his wife Cacina decided to stay for Dr. Todd’s seminar. At the end of that day Anders and Dr. Todd ended up spontaneously toning together, forehead to forehead. This event was a trigger for Anders’ further awakening to his own sound awareness. A few days later he began recording the beginning tones of what was to become his first album Lemurian Home Coming . 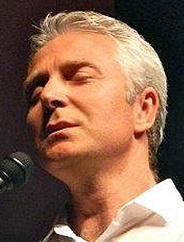 With the birth of this CD his musical work took a whole new direction, resulting in the creation of a unique interdimensional music. Today Anders is known for creating a sacred space at live events, aligning the many voices of an audience into a sense of oneness. His Tonal Sound Music as well as his uplifting songs and lyrics have reached people all over the world. He also offers workshops where people learn to deepen their spiritual connection through tone and sound. Since 2011 Anders has been travelling with Lee Carroll in Europe, performing at Kryon events, and he also performed at the Kryon Summer Light Conferences 2012, 2014 and 2015 in the USA. 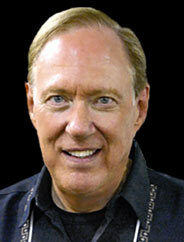 On December 21, 2012 he joined Dr. Todd on Maui (Hawaii) in leading the Lemurian Choir consisting of 900 singers. During this unique galactic solstice event Anders also released his CD album Dream Of The Blue Whale , created together with his partner Cacina Meadu. Monika Muranyi has always had a deep affinity and connection with Gaia, Mother Earth. This led her to university where she obtained a Bachelor of Applied Science degree with Honors at Southern Cross University in New South Wales, Australia. Monika has worked in various national parks within Australia and New Zealand for over fifteen years. Her ideal heaven was to be communing with nature in remote landscapes of breath taking beauty. Following a spiritual awakening she began to explore the deeper mysteries of Gaia and the universe. This new calling led Monika to move to New Zealand. While in New Zealand she began her training as an accredited EMF (Electro Magnetic Field) Balancing Technique® Practitioner (Phases I to XIII). In 2012 Monika moved to Santiago, Chile so that she could be in a place that vibrates strongly with the Earth’s Kundalini energy. This experience created an opening where Monika developed her spiritual gifts which involved presenting the Kryon work, as given by Lee Carroll, in a totally new way. Monika has carefully researched the Kryon material and brings personal experiences and insights as she weaves together the Kryon teachings and wisdom. Her first book, The Gaia Effect, provides greater understandings about Earth energies and how these interface with humanity. The Human Akash, was premiered at the Kryon Summer Light Conference in Mt. Shasta California and is all about the AKASH. The Human Soul Revealed, is everything Kryon has presented on the Human soul. However, the most recent book relates to ALL THINGS LEMURIAN, and is titled The Women of Lemuria. Two years in the making, this book is filled with KRYON information never formerly revealed about Lemuria (The continent of MU). With a section by Dr. Amber Wolf (The Lemurian Sisterhood), this book is becoming best-seller! Deborah DeLisi is a creative expressionist, artist, author and educator who has been invited to speak and share her art in many countries. As an educator, she weaves information from cutting edge science, ancient stories, technology, and timeless spiritual practices to create a tapestry of enlightened living. Her paintings, drawings, stories and poems are shared through her books and in her workshops. As a creative expressionist, Deb brings a sense of purpose, connection and self-discovery through her classes and workshops. Gaining a degree in Graphic Design, Deb offers her services to businesses with logo designs, promotional advertising, packaging design, branding, book layout and cover designs. She created the cover Illustrations for Kryon Book 13 and both the cover and layout for Kryon Book 14. She is responsible for the design and layout of Monika Muranyi’s popular “Manifesting Your Mastery” and “Gaia Revealed” card decks. Prior to her current art style, she illustrated themes of sunflowers, gardens, birdhouses in a homespun style that was licensed for use on home decor and stationary products worldwide. 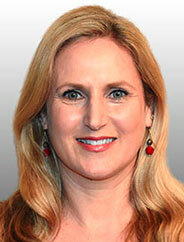 Since 2004 Deborah has collaborated with a brilliant scientific researcher, Dr. Todd. She brings his Pineal Tones to life with her accompanying artwork she calls the “Art of the Rhythmic Universe” (Pineal Tones Art). This multidimensional art is created from the perceived geometries and movements of energy seen in her third eye when the tonal sounds are heard. With her intuition tuned into other realms, Deborah also offers personal sessions for people who are seeking direction, clarity and a sense of purpose in life. Her creativity is a companion to her personal life challenges, and throughout it all, Deb maintains a belief in the power of love and the importance of compassionate living. After her daughter died in 2014 she founded “The Abundant Love Project”, which is spreading random acts of kindness to thousands of people around the world. 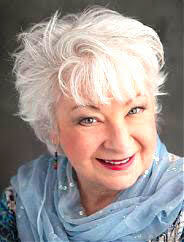 Her global movement of compassion has been featured on CBS in San Diego and in magazines and newspapers. Her books are available on Amazon. © 2017-2019 Kryon Writings Inc. Shaloha Productions, LLC. All Rights Reserved.